DBM Electrical Services - Electrician based in Southampton, Hampshire. 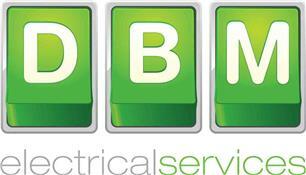 Hi my name is Dan, I set up my growing company DBM electrical services 2 years ago. I have been a qualified electrician since 2003. In these years I have gained valuable experience in Domestic, Commercial and Industrial environments. All my works are carried out to the highest standards of the Electrical wiring regulations. For a full list of services please visit my website.